We understand that in today's economical climate, running a business is likely to require a budget for repairs and maintenance to your business premises. We provide free, no obligation quotations, so if you require repair, re-roofs, maintenance works or a new extension, we can provide you with a thorough roof survey and quotation, so you are clearly informed of what is involved and how much it will cost. We also have public and employers liability insurance cover, well in excess of most requirements. 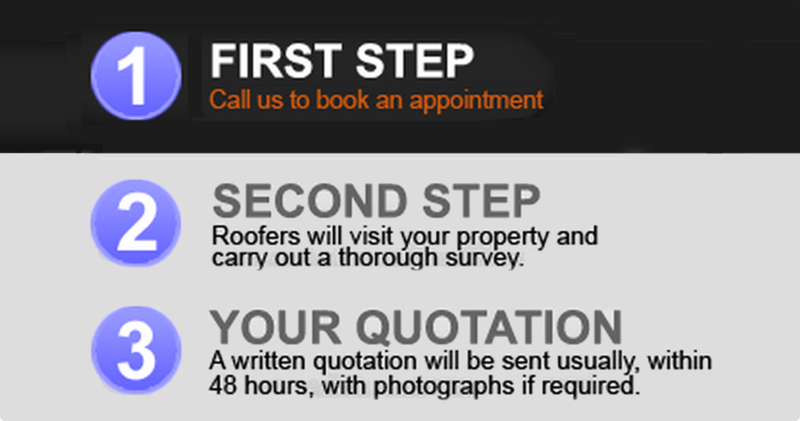 We have a vast amount of experience to call upon with specialist roofers in all areas of roofing. We always guarantee all our work. This guarantee covers both the workmanship carried out and also the materials we have selected. We continually source and assess the materials to make the best of modern technologies, quality and competitive prices. In addition to our thorough roof survey, we can include photographs of the roof areas acquiring attention, with full Method Statements and Risk Assessments, which are carried out in compliance with our up to date Health and Safety policy. Bingley Roofing Contractors have skilled roofers that can carry out, re-roofs, new roofs, slating, tiling and general roof maintenance.